We love taking care of those who take care of us! That is why we offer folks in our industry a 20% off discount on beverages for enjoying their time here. 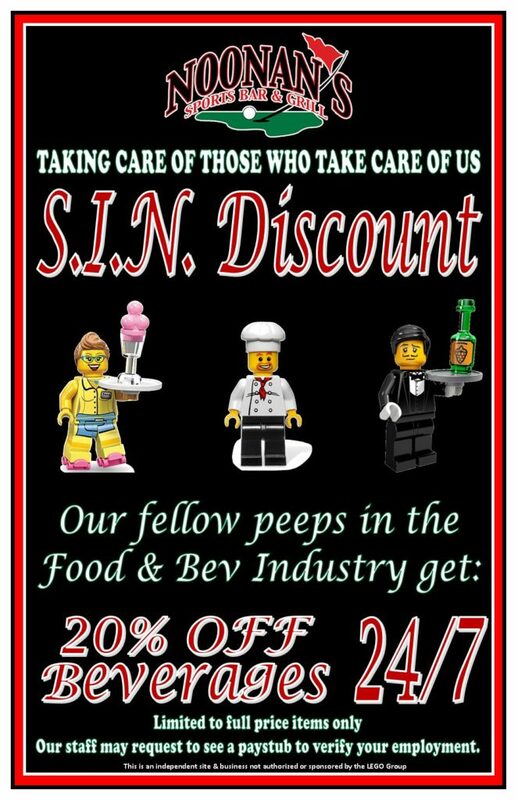 The discount is available to everyone in the Food/Bev/Hospitality Industry. *Limited to full priced items only. We may ask for a recent paystub to verify your employment and eligibility.